Produce custom designed products! Show off your individual style and creativity with activities to make unique and useful items. Make accessories like phone cases, wallets, and luggage tags, or create meaningful gifts with custom picture frames. Pump up your jam with a phone speaker amplifier, or keep things neat with a headphone wrap. 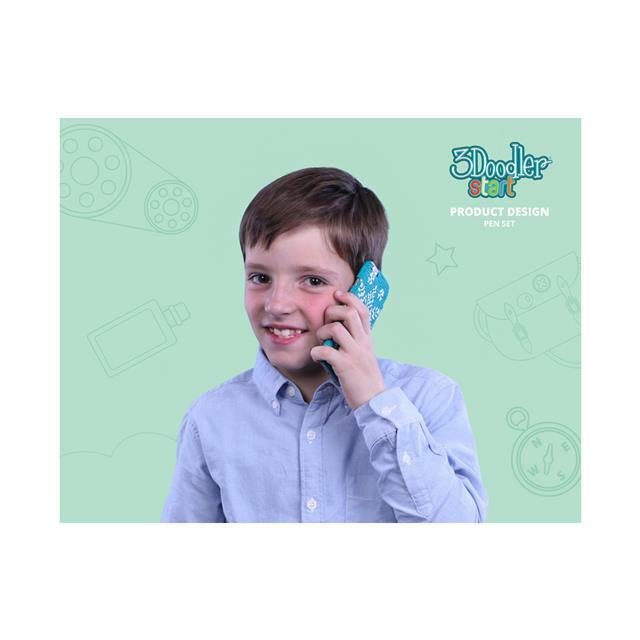 Or create your own customized watch or clock with the new analogue watch face included with each Product Design theme set! 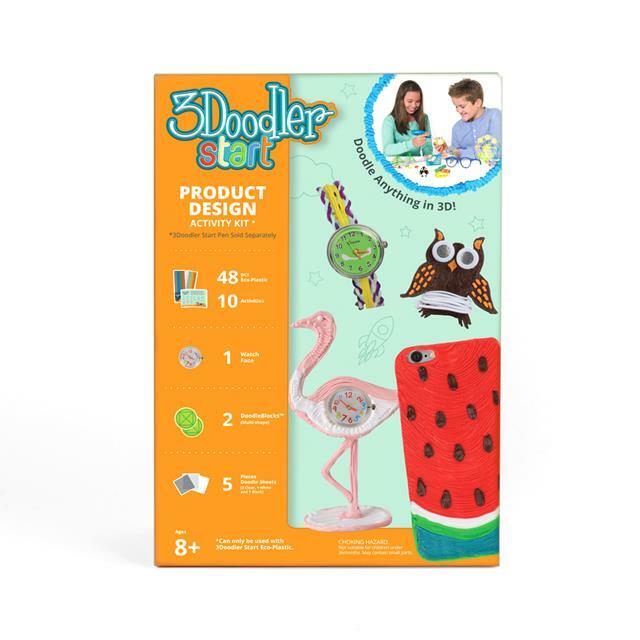 Includes:�Activity Guide, 2 packs (48 strands) of 3Doodler Start Plastic in 8 colours, 5 DoodleSheets, 2 DoodleBlocks, Sphere Design DoodleMold, Analog Watch Face.